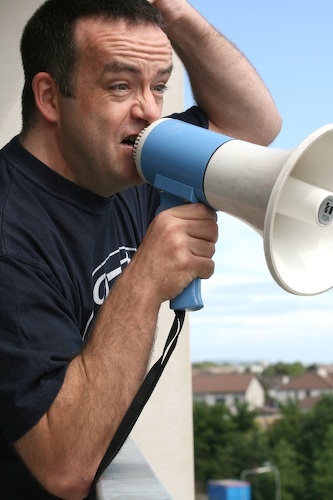 Enjoy a night of uproarious comedy with 2012 PPI Award winner John Colleary and stand-up comedian Pat O’Donnell. John is also star and co-writer of three times IFTA nominated The Savage Eye (RTE2). Collearys credits also include Headwreckers (CH4), One Night Stand (BBC) & The Panel (RTE2). John gigs nationwide and is a festival regular. A must see. Pat has enjoyed continued success as a stand-up, touring with Deirdre O’Kane, Pat Short and Tommy Tiernan and headlining in his own right up and down the country. He has most recently appeared in and written for the IFTA nominated “The Savage Eye” on RTE 2 and the critically acclaimed ‘Moone Boy” on Sky One. He appeared alongside Jason Manford in “Moving On” on BBC One in 2013. In 2014 he has appeared in “The Savage Eye 4” and “Moone Boy” series 2.